If buying or selling a home in Fairfax County, VA describes your next move, the professional team of realtors at Virginia Estates is ready to guide you along. Fairfax County real estate is highly desirable; with its prime location within Washington DC’s metro area, and great selection of homes. Whether you love history and have an interest in the Civil War and Revolutionary War, or are ready to hit the town and go shopping, or even take a hike or go for a scenic horse ride, Fairfax County will keep you and your family entertained. Fairfax was named thus after Thomas Fairfax, 6th Lord Fairfax of Cameron. He was awarded five million acres in Northern Virginia by the generous King Charles. It just so happens that the first battle of the Civil War happened here when a scouting party bumped into a local militia. Fairfax was officially renamed the Town of Fairfax in 1874. By 1904 a trolley line reached Fairfax from Washington, D.C. and it has been home to many who commute to the capital over the past century – George Washington and George Mason are two very notable commuters who established their homes in Fairfax County. Fairfax County Public School system is the 10th largest school system in the United States and boasts the largest school bus fleet. In all, the school system includes almost 200 schools and centers. As well as being one of the biggest school systems it also maintains a very impressive on-time graduate rate average of 91.3% with an average SAT score of 1659. In addition to the fantastic school system there are multiple colleges within the county as well including: George Mason University, Virginia International University, and Columbia College. Town of Clifton – Clifton is a quaint community with many beautiful homes on varying lot sizes, as well as a historic town center. Mount Vernon – Surrounding George Washington’s estate this picturesque community is complete with historic neighborhoods and a bike path that runs north to Washington, D.C.
Town of Vienna – Vienna has a metro center along with the perfect small town atmosphere, this lends itself as an ideal place to live with its easy access to Washington, D.C. and was named one of the best places to live by Money Magazine. Whether you are looking back into our nation’s rich history or forward into your future there are plenty of activities to keep you and your family entertained. George Washington’s home at Mount Vernon is a beautiful day trip, the estate and gardens have been pristinely maintained and if you plan it just right you can catch a variety of tours and activities that have been scheduled. If you are in the mood for for something more current there is the Steven F Udar-Hazy Center – more commonly known as the National Air and Space Museum that is complete with an IMAX theater. In addition to those you can enjoy the outdoors and visit the Great Falls National Park, Burke Lake Park or the Meadowlark Botanical Garden. Perhaps you would like to go shopping instead, in that case the Reston Town Center or Tyson’s Corner will keep you plenty busy. If you are interested in buying or selling a home in Fairfax County, contact Rick Walden and the team at Virginia Estates today. Our Virginia realtors and agents list some of the most beautiful properties in the Commonwealth. 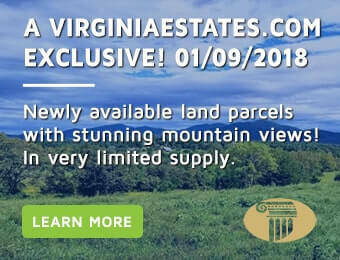 We have our eyes on the pulse of the entire Virginia real estate market, including Charlottesville, Richmond, the Shenandoah Valley, and Fairfax County. Call (877) 646-8800 or e-mail an agent today: rick@virginiaestates.com.